The Solar Roller is a mobile solar charging station with solar tracking. The project was started in September 2012 and is set to be completed in June 2014. 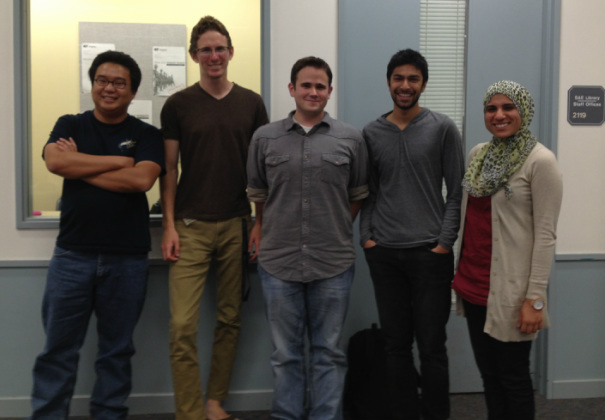 This	team	of	five engineers	will	research,	design, and	build	a	sustainable	and efficient	mobile solar	charging	station. The	primary	goal	is	to educate	students	and	other	members	of	the community	on	the	applications	of	solar	energy and	the	practicality	of	it	in	our	society. By explaining	how	the	Solar	Roller works,	we hope	to	inspire	other	students	in	seeking further	education	in	solar	as	well	as	other renewable	energy	sources. Our	other	goals include donating the unit to the AV tech department on	campus	to	power speakers and other appliances for outdoor events which	in	turn	will	increase	our	outreach	and help	build	community. UCSD	has	seen	solar	energy	at	work	in	the Hopkins	Solar	Grove	and	Solar	Trashcans	as well	as	through	the	research	the	faculty conducts	on	campus. However,	student involvement	is	missing	from	these	projects because	the	advancements	on	campus	in	solar energy	are	mostly	faculty	driven. This	team’s hope	is	to	make	the Solar Roller a	well	known	student directed	project	which	will	open	doors	for	more student	involvement in renewable energy. Currently, our team has finished the structural components of the Solar Roller and are working on implementing the electronics. See pictures below.